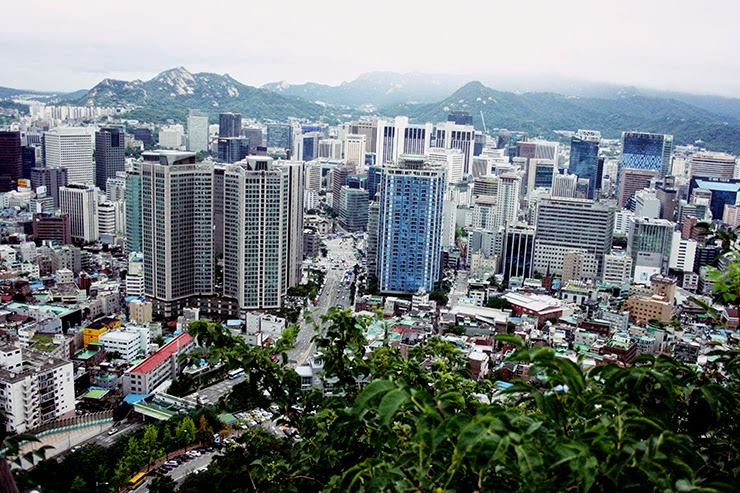 In the last two weeks I have already experienced and seen so much in Korea that I really need to hurry with my blog posts in order to catch up with the present. 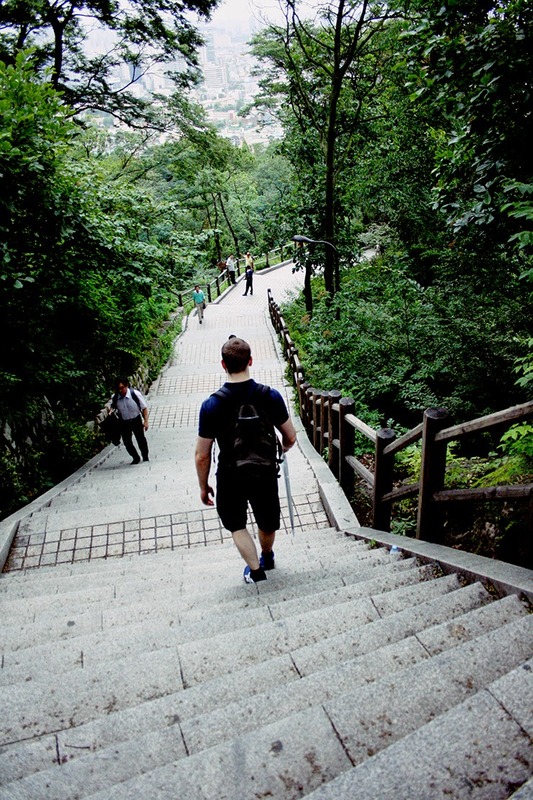 My boyfriend really wanted to hike up one of the hills/mountains that are in Seoul (Seoul is basically a huge mountain-infused area. It's going up and down and up and down no matter where you go) but it rained almost the whole time when he was visiting me. On the 5th day we gave in and decided to go no matter what as it was only slightly raining but not pouring cats and dogs. 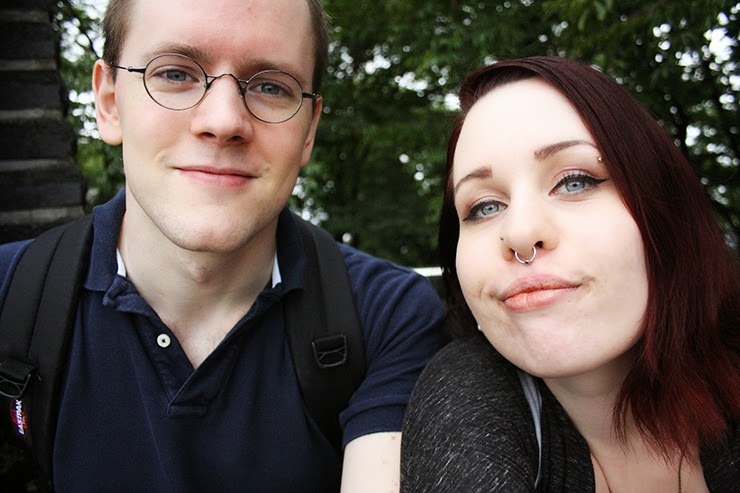 In case you're wondering about my weird hand placing: It was super windy and I somehow had to prevent my hair to float in front of my face everytime we took a picture. I really like the picture on the left :) On the right side Niko looks almost like a giant.... he's actually not that tall. Really. 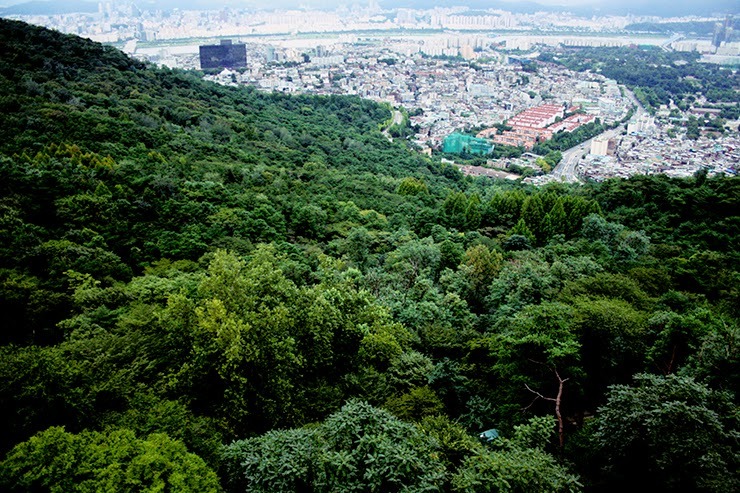 View from a top Namsan. You can see the whole city, even on a rainy day. 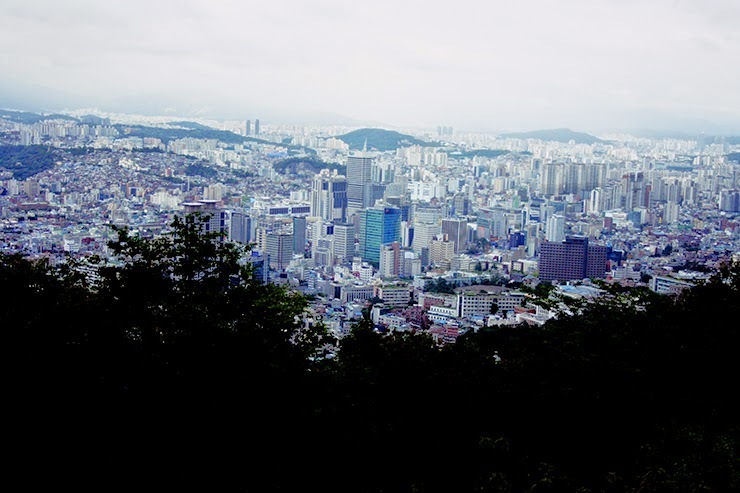 There was actually a lot to see on top of Namsan hill. 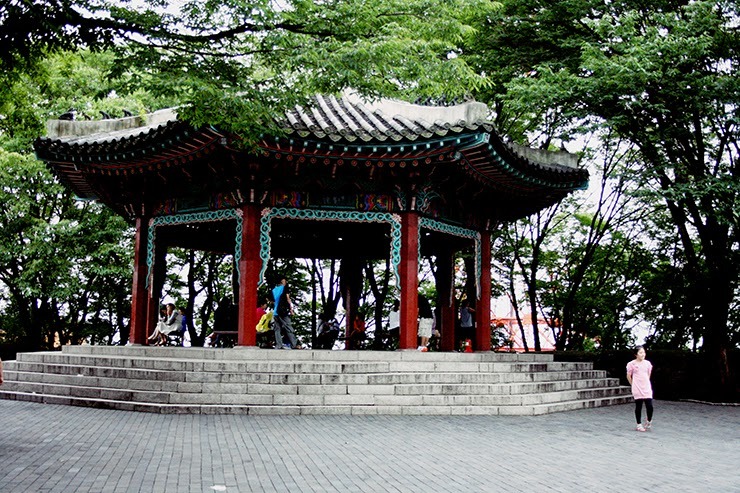 There were pavillons, platforms, shops and restaurants - I certainly did not expect that! 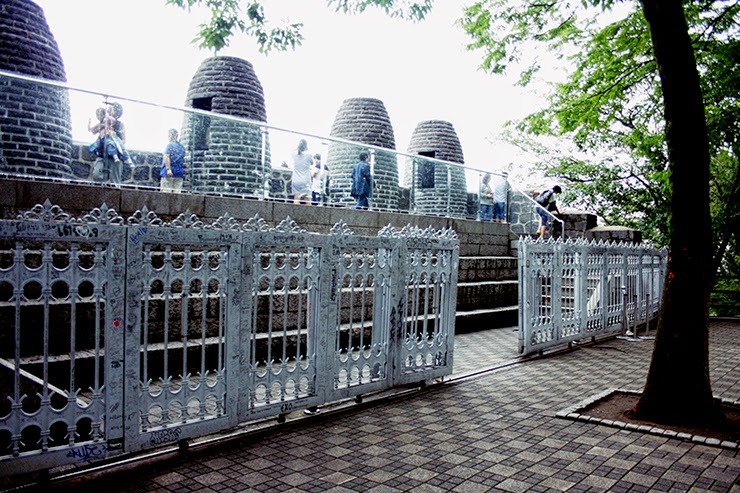 Also Seoul Tower is on top of Namsan hill but the prices were sooo high and we were already able to see the whole city so we didn't quite get why people would go up there. Of course, I could not let the opportunity pass to have a lock of my own. 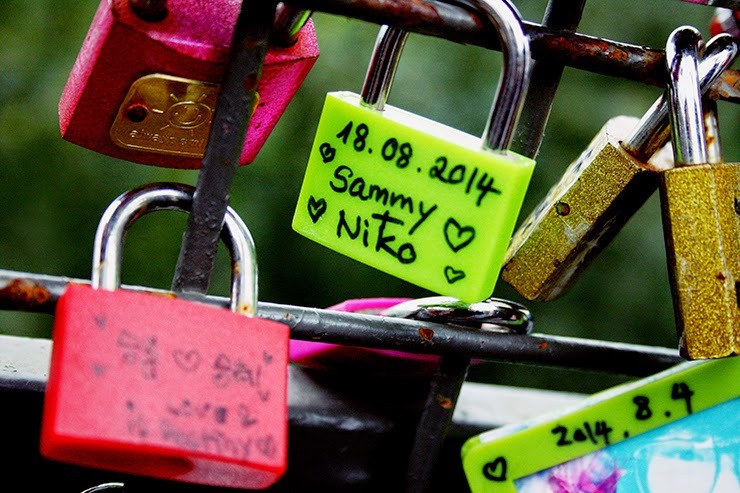 Niko wasn't a big fan of it but he saw my huge puppy eyes all go watery when I saw all the locks hanging around and he basically had no choice. 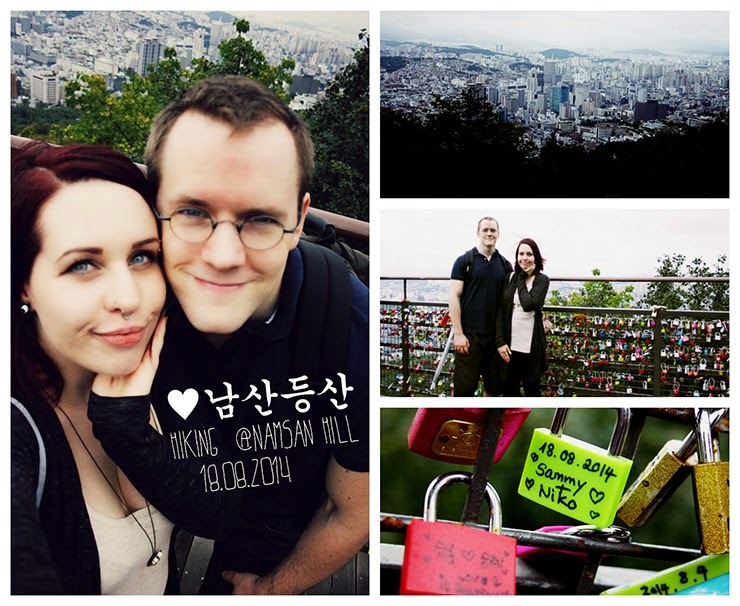 We purchased a lock in my favorite color green and now we will be dangling for all eternity from atop Namsan hill! The long decent. Going down took us about 30 minutes so going up would take really some time I guess. Also, these stairs are monstrous, sometimes they are extremely shallow and sometimes huge and I almost fell down the stairs. I highly recommend going up by cable car and down by foot. 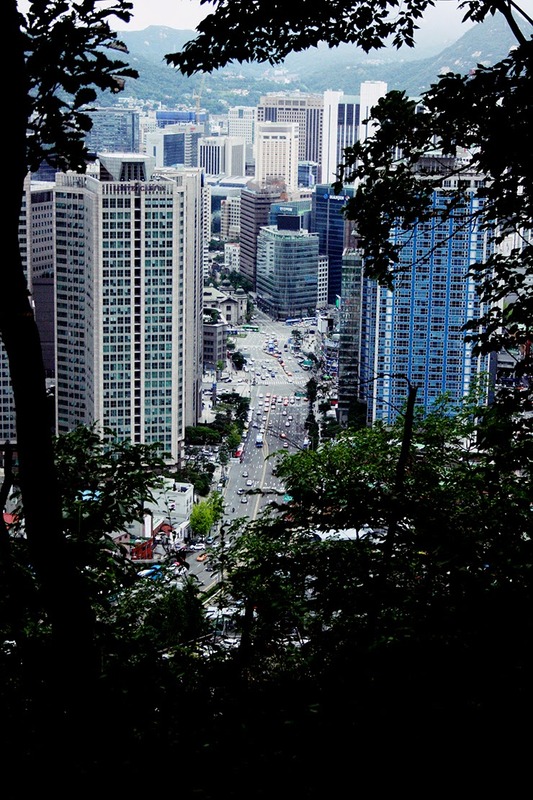 As we were going down Seoul came closer and closer again. Made it! End of journey! That was honestly such a good day. 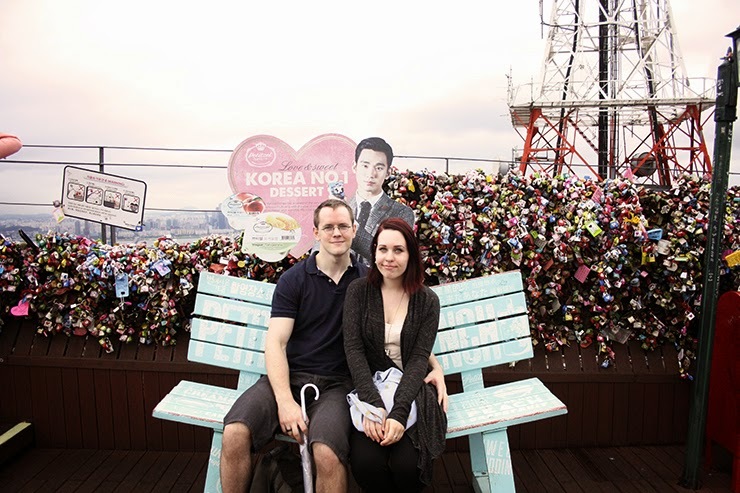 Niko and I had so much fun together and it was a very nice distraction from wandering around busy Seoul. 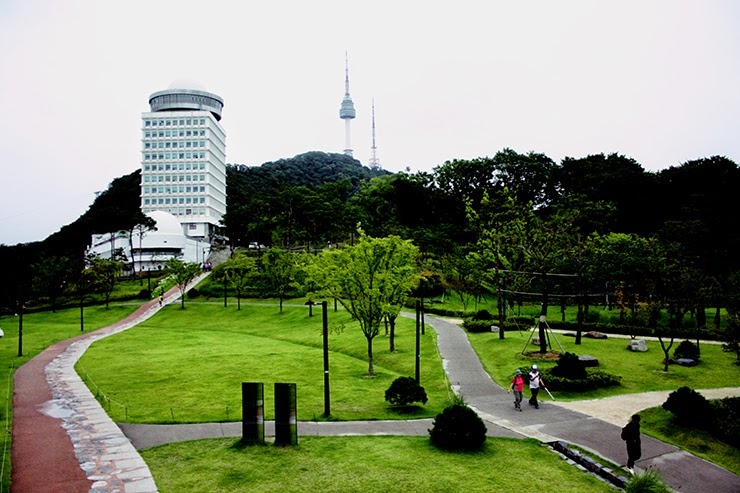 Although it was a bit rainy we had the advantage of a very non-crowded Namsan. 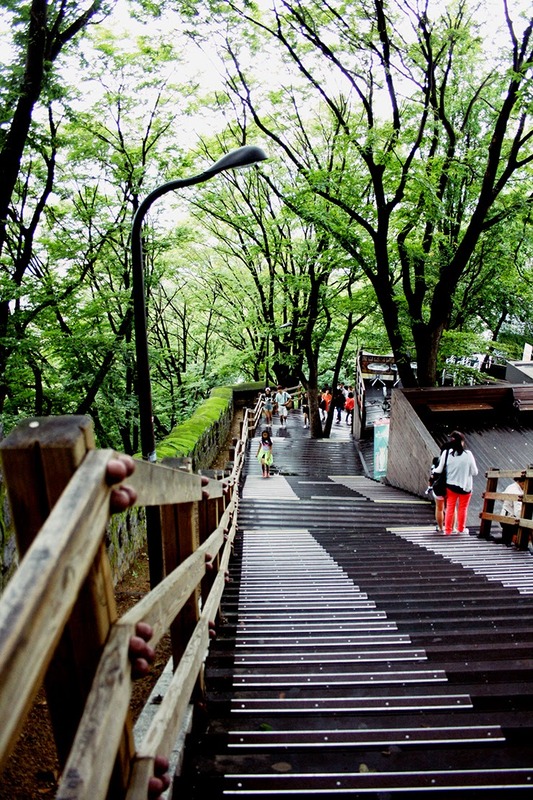 If you ever come to Seoul, you really should visit Namsan hill in my opinion :) Next stop will be Gangnam!